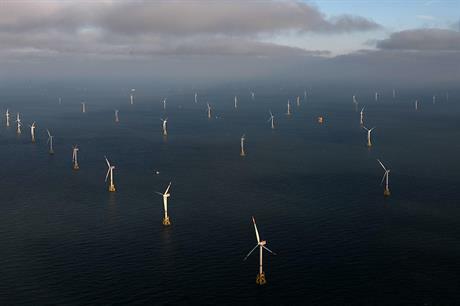 GERMANY: Innogy has issued a green bond worth €850 million to refinance four offshore projects in the UK and Germany and one onshore site in the Netherlands. The developer will use capital raised through the ten-year bond to restructure the finance arrangement of the five wind farms, which are either under construction or already in operation, according to the developer. The company did not name the projects it seeks to refinance, but it expects them to produce a combined 3TWh per year. According to Windpower Intelligence, the research and data division of Windpower Monthly, Innogy owns or part-owns the 336MW Galloper, 504MW Greater Gabbard, 576MW Gwynt y Mor, 860MW Triton Knoll, and the 1.2GW Teesside offshore sites in the UK; the 332MW Nordsee One site being built off the coast of Germany and the 295MW Nordsee Ost, which went online in 2015; and the 90MW Zuidwester and 9.6MW Kattenberg-Reedijk sites online in the Netherlands. The green bond for the five projects is the first German corporate green bond in "benchmark size", Innogy claimed. Its issuance had been reviewed by environmental, social and corporate governance (ESG) agency Sustainalytics, which confirmed Innogy’s Green Bond Framework was sufficiently robust and transparent. The bond is based on a coupon of 1.25% per year, has an issue price of 98.987% and its yield-to-maturity amounts to 1.36%, Innogy stated. The issuance of the green bond comes shortly after Innogy achieved financial independence from RWE by signing its own €2 billion credit line. Conventional power company RWE rebranded its renewables unit as Innogy last year.